The Demron® One-Ply Radiation Torso Vest has been tested by the Department of Energy, and confirmed to be effective in shielding for various forms or ionizing radiation. The specific molecular engineering of the Demron® compound provides protection against X-Ray and low energy Gamma emissions, as well as high and low energy Beta and Alpha particles. 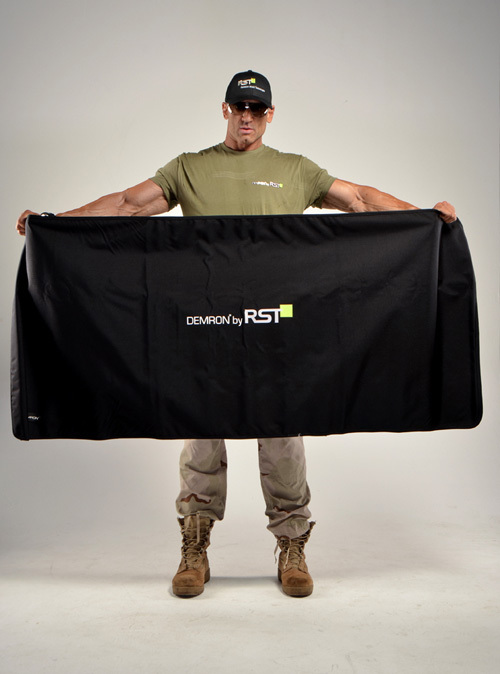 The Demron® torso vest is constructed with two layers of Demron® fabric, providing increased shielding to the vital organs. The vest ensemble includes a removal thyroid protector, as well as groin protection to provide shielding to the reproductive organs. The Demron® torso vest can be worn under most level A, B, and C protective suits. For export enquiries and pricing, please contact RST directly.